Product Spotlight is a feature that will run multiple times a week, designed to showcase individual products in our broad offering. We'll highlight key features, discuss how the product is used and more. Interested in seeing a particular product featured here? Let us know! Have you ever wished you could get lanyards so bright that they make the sun look dull in comparison? Boy, do we have the lanyards for you! OK, so maybe they're not quite as bright as the sun. But they're close, and the vivid colors of our neon breakaway lanyards make them perfect for those seeking a simple, attention-getting card attachment solution. These lanyards are fun, featuring bright, happy colors that help make your attached ID card or ID badge holder really stand out. Black? Blah. Blue? Boring! Green? Get out of town! 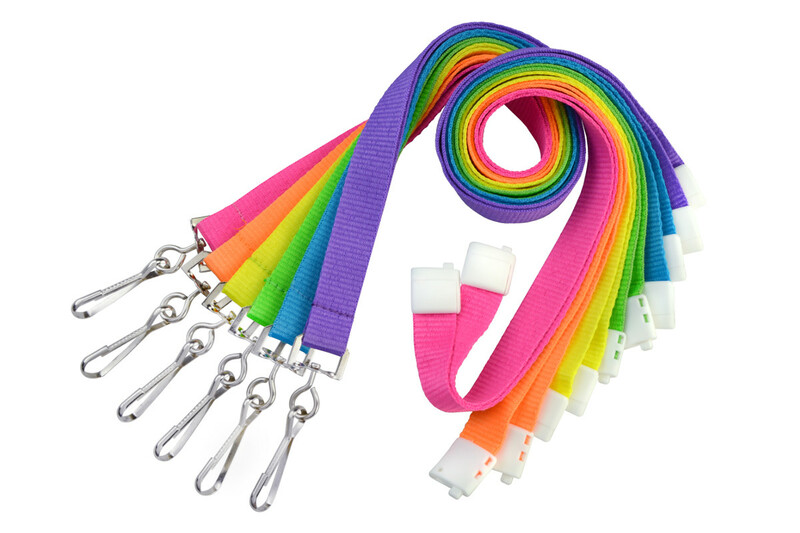 Neon is where it's at, and these colorful lanyards will help brighten any ID card program.